I am writing to you on behalf of citizens that live in my city council district. 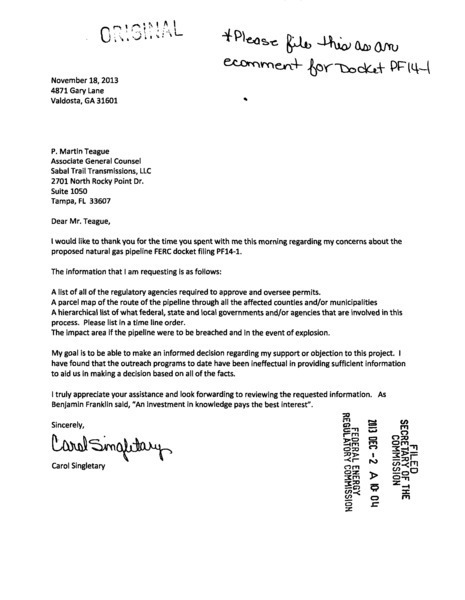 Specifically those that will be negatively impacted by the Sabal Trail methane gas pipeline. Please accept the following reasons why I oppose this project coming through our community. 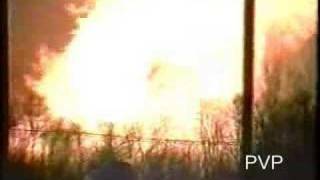 Children running naked into the flaming night of a Spectra pipeline fireball, thousands evacuated, hundreds made homeless, some burnt or “felled by smoke”, one woman literally scared to death, all caused by corrosion in a dent Spectra knew about years before, and NTSB says it’s up to local governments to make pipeline companies prevent it happening again. A natural gas pipeline explosion that awestruck witnesses compared to a blinding, scorching nuclear blast turned a neighborhood in the central New Jersey town of Edison early yesterday into a war zone of flames, panic and chaos. 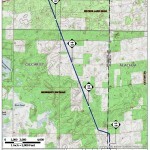 Stop the Sabal Trail pipeline early before it gets harder. Making a bad bet shouldn’t guarantee winning by legal judgment at the expense of landowners, methane pollution, and delayed solar deployment. 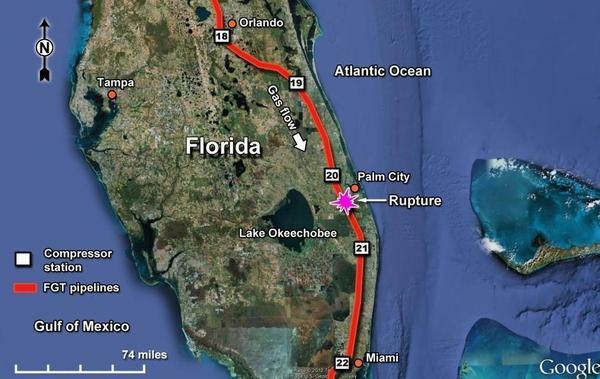 Five years ago a natural gas pipeline blew up between the Florida Turnpike and I-95, flying a 104-foot piece of 18-inch pipe through the air, shutting down both roads, and fortunately missing a high school. 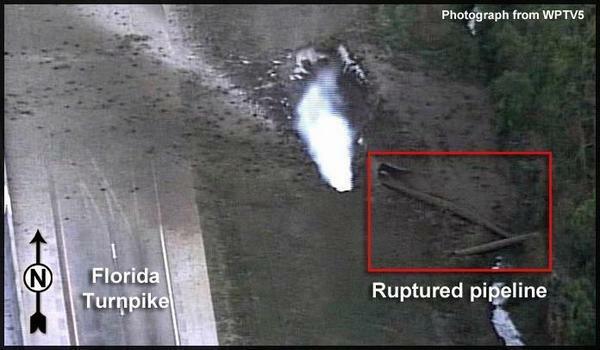 NTSB determined it was the fault of the pipeline operator, Florida Gas Transmission Company, LLC (FGT). The National Transportation Safety Board determines that the probable cause of the accident was environmentally assisted cracking under a disbonded polyethylene coating that remained undetected by the integrity management program. Contributing to the accident was Florida Gas Transmission Company’s failure to include the pipe section that ruptured in the integrity management program. Contributing to the prolonged gas release was the pipeline controller’s inability to detect the rupture because of SCADA system limitations and the configuration of the pipeline. So NTSB said it was FGT’s fault. If you can’t get to Kissimmee today, you can watch it live on the Osceola County Commission’s website. And if you can’t get to that one, the pipelines are coming up at four other county commission meetings in Georgia and Florida from today through next week. In addition to local landowner Monica Martin, she says the local Thai temple will also speak, Wat Florida Dhammaram, Theravāda Buddhist Temple. 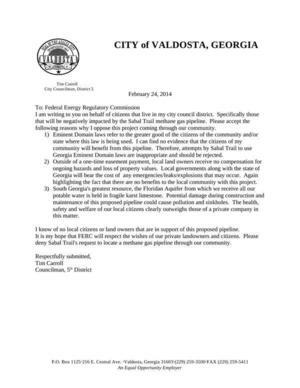 Noon today, Monday, 10 February 2014, Colquitt County Commission on Sabal Trail pipeline at their Work Session. 5PM tomorrow, Tuesday, 11 February 2014, Lowndes County Commission Meeting and Protest at their Regular Session. 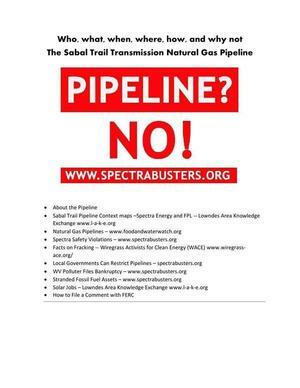 7PM tomorrow, Tuesday, 11 February 2014, Colquitt County Commission on Sabal Trail pipeline at their Regular Session. 5PM Thursday, 20 February 2014, 3 minutes a question at Gilchrist County Commission at their Regular Session. Even many FPL allies oppose new methane pipelines, because of water, safety, health, fracking, property values, and other issues, and even county commissions in all three directly affected states (Lee County, Alabama started way back in May 2014) are having to respond to citizen concerns about unnecessary, environmentally damaging, and property-taking methane pipelines. Let’s go straight to solar and wind power! FPL and Spectra could lose, because many organizations and individuals don’t want dirty methane pipelines when we can go straight to conservation, efficiency, and solar and wind power. Florida Power & Light Co. is on the cusp of getting the pipeline it has long wanted to carry natural gas from elsewhere in the nation to Central and South Florida to run the utility’s power plants. But the proposed $3.6 billion project, which FPL hopes to start using in 2017, has drawn mixed responses from even groups that are usually allies. Among them, Audubon Florida lauds natural gas as cleaner than coal when burned by power plants, while Sierra Club Florida opposes the line as likely to ensure that the state becomes further addicted to the fuel at the expense of developing solar power. Contention by many environmentalists that the use of natural gas on the whole — from drilling to consuming — is as damaging to the environment as the use of coal. 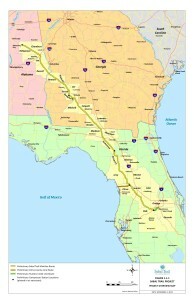 Concerns that the route of the proposed pipeline is potentially harmful to Florida wetlands and aquifers. 2701 North Rocky Point Dr. I would like to thank you for the time you spent with me this morning regarding my concerns about the proposed natural gas pipeline FERC docket filing PF14-1. 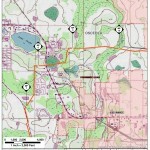 I received the following comments regarding the Sabal Trail Project on December 26, 2013. Ms. Hatker’s address and phone number have been ommitted. I met you and we spoke at length at Bell High School on December 5th at the open house regarding the proposed Sabal Trail Transmission pipeline route. To refresh your memory, I gave you a Google map showing our small pecan orchard that backed up to property where a 35 foot and quite deep sink hole formed. I also included pictures of the sink hole and proof that this was located no more than 2300 feet from the proposed pipeline route. This entire area is at high risk for rapid sink hole formations and it makes no sense to put a pipeline right through such an area simply to serve the interests of FPL.